One of the current news of the Philippines is Cha-Cha. But what is charter change? Amending the constitution is no easy task. This given the extensive procedures and the time needed for lawmakers to craft the country's laws. We, Kwentologists will tell you what it takes to carry out this initiative. The Constitution is the country’s fundamental law and is regarded with reference that's why to change anything in it, requires careful and stringent process. Passage of a Legislative Measure or passing a law a resolution to do so. Congress through a majority vote can call for a constitutional convention. However, choosing delegates to that invention can be tedious, depending upon what members of congress agree on. The delegates can be appointed or elected. A Constitutional Convention is the most costly way of amending the Charter because it may require the Commission on Elections to hold special polls to elect delegates. Also, this can worsen the political dynasties in the Philippines. 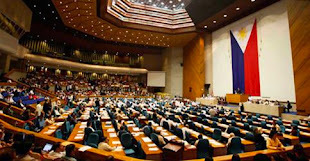 In a Constituent Assembly the Senate and House of Representatives convene to propose amendments to the Charter. The current senators and congressmen will automatically serve as delegates. For probation to be added or removed from the Constitution, it must get ¾'s for the assembly vote. The public can directly proposed charter change through People's Initiative. For it to prosper, 12% of registered voters must sign the petition—that is about seven million people based on current figures. Former President Fidel that almost led a People's Initiative in 1997 and so did former President Gloria Arroyo in 2006. Both attempts failed. It must be very difficult to get enough votes from every district. Lawmakers can propose amendments to the Charter by filing a bill. The bill will be treated like any other piece of legislation and go through committee deliberations, plenary debates, and a final reading. After that, the other chamber of Congress must pass a counterpart bill. Right now, there is resolution to amend the Charter’s economic provisions and set for plenary debate. But whichever way charter change is proposed, it will have to be voted on by the entire nation in a plebiscite. Are Filipinos Ready for Charter Change? Well, some people said there is no current need to amend the Constitution. It may only turn the public to be distracted. Besides, there are many other problems the country is facing. A single 6-year term for the President is enough. Thank you for reading Charter Change is Possible in the Philippines! These Are Ways to Amend the Constitution posted on the website Kwentology if you want to redistribute this article please include the link as the source. Have some kuwento to share? Contact us!